Air Pollution is really killing my skin. Every day we are exposed to sunlight, dust, dirt and what not. Few days ago, I woke up to dry and dull skin. While washing my face I could notice dryness around forehead and on cheeks. So, I decided to go for a facial. 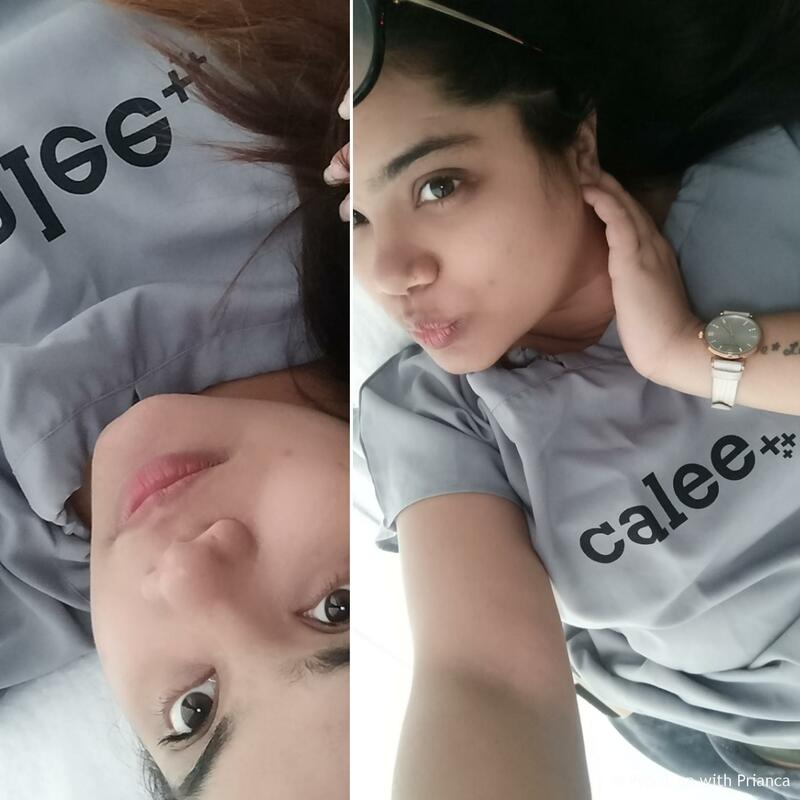 While, re-searching for a perfect facial for my skin, I stumbled upon Clinic Calee at Sector 18 Noida. I was impressed to see the array of wellness services that they offer. So, booked an appointment with them for my skin consultation which was free of cost. The Clinic is plush and very well equipped. I was greeted by a team of professionals and was offered a relaxing Calee drink (Tastes heaven). During my visit, the doctor examined my skin and suggested some therapies under the Calee Skin Maintenance program. It involved a series of hydration facials and chemical peels for sustainable best results. My first session was the Calee Aqua Rad Facial for hydrating my skin. All facials at Clinic Calee are advanced and the products used are from the professional range only and guarantee results. So, I slipped into my treatment dress and relaxed on the bed and waited for my therapist. The therapist began by cleaning my face make-up. After, this my skin was dermo cleansed with delicate cleansing milk. Post toning and cleaning my skin I was treated with Resurfacing peel cleaning gel mixed with jojoba oil induced exfoliator. The product was left to dry on my face for 5 minutes. Then, with soft circular motion she exfoliated my skin. The jojoba oil extracts maintained the softness on the skin and did not leave rashes and dryness. Post exfoliating and cleansing; she applied Anti-redness factor serum on my skin which helped in lightening the scars and pigmentation on my cheeks. The serum was left on the face for another five minutes and with gentle stokes of massage the serum penetrated my skin leaving it well nourished. Then comes the sensitive cream message which is devised to cure and prevent acne and soothe sensitive skin. This massage was for roughly 20 minutes and was very relaxing. The therapist then moistens a gauze with Lift collagen thermal factor and placed it on my face. Over the gauze she applied a generous layer of re-balancing thermal mask with O2. This pack was left to dry for 20 minutes. The lift collagen thermal factor added the required firmness and toning. The re- balancing mask absorbed the excess oil, leaving my face mattified, soft and beautifully smooth. This was the final step of the Calee Aqua rad facial, the therapist applied hi- tolerance revitalizing cream and gently messaged on to my face for quick 2 mins. This cream provided the extra energy & hydration that my skin needed and also stimulated the cell renewal. The Calee Aqua Rad facial left my skin extremely hydrated and soft. This was my first relaxing session at Clinic Calee and left me wanting for more. My next session will be the chemical peel supervised by a doctor at Clinic Calee. Will share more about my wellness journey with Clinic Calee. Stay tuned. I am a Delhi girl, a movie buff, travel junkie and beauty and fashion fanatic. This blog is owned by me and I intend to fascinate you with freshly baked and absorbing content. Life’s a Pooch – A Day in the Life of a ‘Black’ Pug! 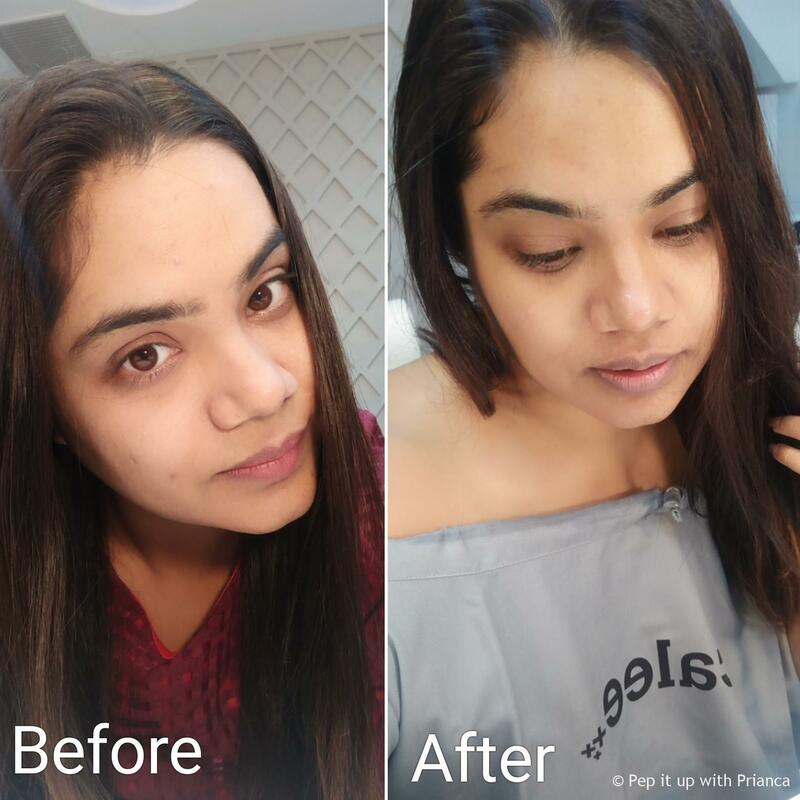 Welcome to PepitupwithPrianca – a lifestyle, beauty and fashion blog for the Indian cosmopolitan generation. This blog is owned by a Delhi girl, Prianca Saraswat who is a certified dietician, movie buff, travel junkie and beauty and fashion fanatic.